Looking for a secure South Tampa location that puts you in the heart of everything? You got it! This fantastic 2 story condominium is located within 1 block of Bayshore Blvd in a charming gated community with brick paved driveways. 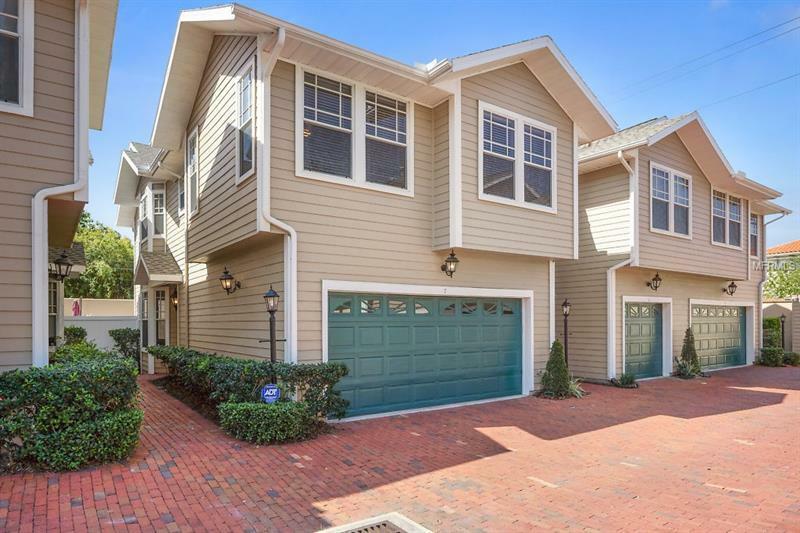 Offering a 2 car garage and brick paved walkway to a recessed entry this beautiful unit features true hardwood floors beginning at the entrance and continuing through the living area and dining space. Bright and open with plenty of windows, this gleaming home offers stainless steel appliances, granite counter tops, walk-in pantry, crown molding and a gas fireplace. The split plan bedrooms offer ample light and generous floor space. You are going to love the feel of this unit! The community has a well-run condo association that recently painted the exterior and updated the roof with new dimensional shingle roofing. From this location you can take advantage of Bayshore Blvd linear park, great local restaurants and watering holes within walking/biking distance along MacDill, and access to downtown Tampa with only 1 traffic light in your way. This spot has it all! Make your appointment to see it today.